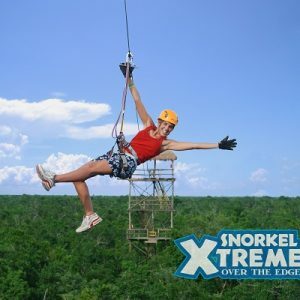 Enjoy the wonderful Mayan jungle and the Caribbean Sea by plunging into the turquoise waters surrounded by exotic marine life and fly above the treetops. 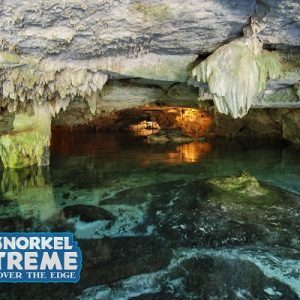 Be impressed by the biodiversity of the Riviera Maya and snorkel in crystal clear waters of the Mayan cenotes. 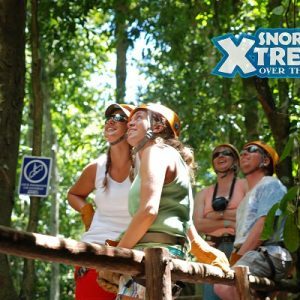 You will be picked up from your hotel and taken deep into the Mayan Jungle. 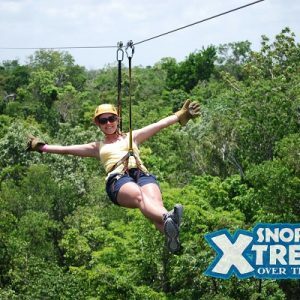 Buckle up onto a zip line and fly over the jungle while touring an exciting Tyrolean fast circuit route above the tree tops. 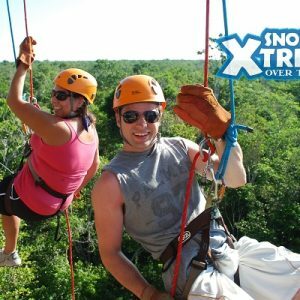 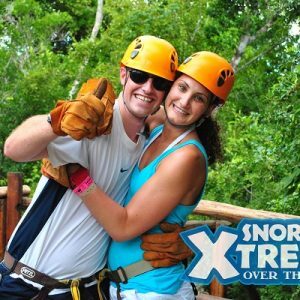 Then we will prepare all the necessary equipment to descend/ rappel into the forest, explore an underground river in the jungle and enjoy one of the beautiful Mayan cenotes. 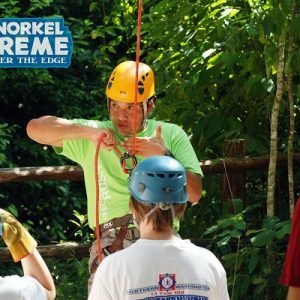 After this exciting adventure, a delicious, traditional buffet meal is waiting for you, served under a Palapa and surrounded by the sounds of the ocean. 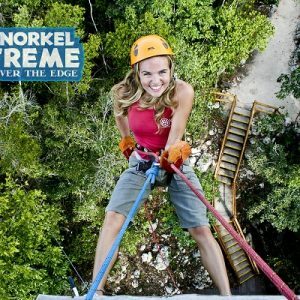 Our guides will accompany you at all times and will share their knowledge of the best snorkeling techniques and information about the type of flora and fauna that inhabit the ecosystems and cenotes. 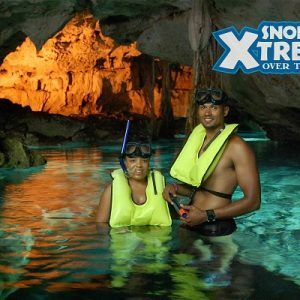 If you love to snorkel or interested in learning more, this is the tour for you. 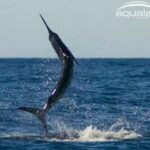 With numerous different snorkeling opportunities, you really are spoiled with choice on this amazing, action packed tour! 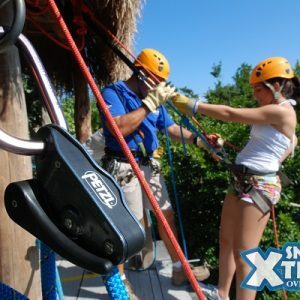 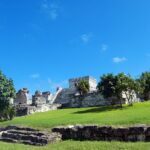 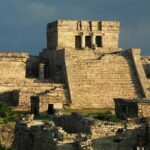 Tour includes: Transportation in an air-conditioned van, a bilingual guide, entrance, PETZL zipline and rappel equipment and snorkeling gear, food, water and soft drinks, insurance and taxes.